Millions of people struggle with addiction to alcohol and drugs. There is no barrier to entry to using substances such as alcohol and drugs. Substances are inexpensive and easy to access. You can buy drugs online, and alcohol is served at many movie theaters. Almost anywhere you go, from the pharmacy to a football game, you have access to alcohol and drugs. For many people, there is a strong genetic predisposition to addiction. A substance abuse disorder must meet the DSM 5 criteria. Determination of a substance abuse disorder is made by a counselor who is trained in substance abuse and behavioral disorders. 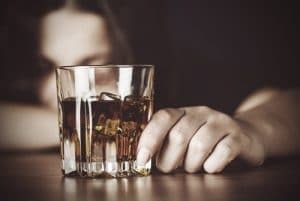 Diagnosis starts with a substance abuse evaluation which assesses background, history of self-medicating, details of use, and attempts to control use among other intake information. As the number of people with addiction issues continues to increase, it’s imperative that we understand why people use substances. Addiction issues begin for many from a need to self-medicate. Here are the 7 most common reasons why people self-medicate. When you feel pain or unhappiness using substances to numb the feelings is common. The goal is to feel numb, so you don’t have to experience any feelings that are uncomfortable. Many people use alcohol and drugs to numb the feelings associated with trauma. From PTSD, emotional, verbal, or sexual abuse, substances temporarily help to remove feelings related to trauma. Whether it’s problems in a relationship, family, work, parenting, or other areas, substances provide a temporary exit. People use alcohol and drugs to avoid the current or long-term struggles in their life. Self medicating to deal with stress is common. They don’t care that it’s only a temporary fix, what matters is that they don’t have to deal with the issue at the moment. Alcohol and drugs when consumed release dopamine, which is the ‘feel good’ chemicals in the brain. Dopamine produces a ‘high’ which overtakes any other feeling that you may be experiencing. Someone suffering from depression or anxiety knows how bad life can be. Substances help people deal with depression and anxiety by allowing them a temporary exit. Some substances are classified as stimulants and others as depressants. Even though a person can temporarily escape from their depression or anxiety, substances exacerbate their symptoms. This is why when treating for depression or anxiety, dealing with the substance abuse has to come first. Some people use a substance to fill an emotional void in their life. This may be loneliness, lack of self-worth, or a lack of social support. Whether it’s real or imagined, doesn’t matter to the user. All they can see is that they need something to help them feel something different. These individuals turn to alcohol or drugs in an attempt to fill an emotional void. Their continued use causes more problems in their lives, which often pushes their loved ones further away. This cycle often leads them to use more. Some people use substances so they can have fun and enjoy themselves. Their perception is that they can’t enjoy the event or situation unless they are using alcohol or drugs. The problem is that many don’t realize that the way they use affects the people they are around. Often these people have less fun because the alcoholic or addict doesn’t stop when they do. They may see an escalation in aggressive or self-destructive behavior. The goal of having fun often turns to actions that the user regrets due to their use. Many people use alcohol or drugs to deal with grief. Whether it’s a death of a person or pet utilizing a substance can be an unhealthy coping skill. Recognize that grief also presents in the loss of a marriage, relationship, or job. Using substances to get through these losses may seem like the only option for some people. If a person doesn’t feel good and has struggled with their emotions, using alcohol or drugs may seem like their only option. For a person who doesn’t use, it may seem silly that someone requires self medication with a substance to feel better. Coping comes in many forms, and for people that use, it’s a powerful option that keeps them in the cycle of dependency on the substance to feel good. Over a short period, the good feeling leaves and the physiological dependence takes over. The user is left feeling worse than they did before starting. Don’t view addicts and alcoholics as not having enough willpower to say no. Don’t think that they can quickly stop using. Substance abuse treatment is an opportunity that many addicts and alcoholics will not receive. Recovery from substances takes hard work, a daily commitment, support, and accountability. Treatment for substance abuse disorder works for many people. The next time you encounter an addict or alcoholic remember that they didn’t start using with the goal of having a substance abuse disorder. Another perspective: #1 Trauma; to me calling it substance use disorder (like it is expressed in the DSM) feels like pathologizing trauma responses. In my experience chaotic use of alcohol and substances is almost always a response to trauma. Great point Beth, thank you for this. You are welcome Kathleen, thank you for checking out the post.